I had mentioned in my last post from King Arthur Flour that we created a blitz Puff Pastry and that I was somewhat skeptical after having spent hours before creating a traditional puff pastry. While I still believe it wouldn't be the best replacement for everything that you could make with the labor extensive version, I certainly will be using this one a whole lot more! It has the great flaky layers that you'd expect and can be used for so many things, like these beautiful and easy Palmiers! Cold butter is critical. You don't want it getting soft and working itself into the flour too much. Also, along the same lines you need to be especially aware of how you work in the butter to the flour. 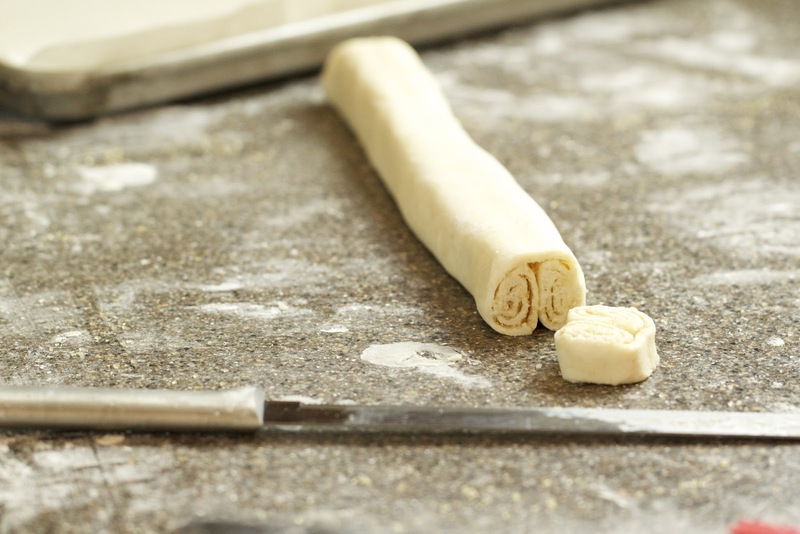 In traditional puff pastry, you're layering a whole chunk of butter into the dough and then creating layers as you continue folding. 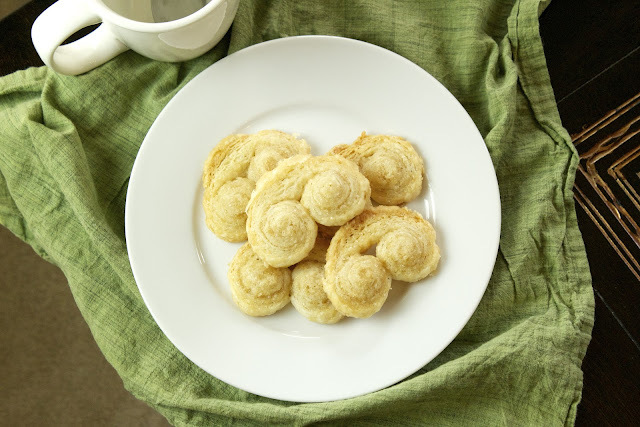 In this version, you blend in the butter directly to the flour. 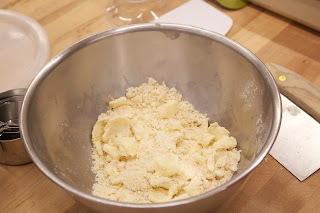 Instead of using a pastry blender like you would for a pie crust, you're going to cut the butter into large chunks and then use your fingers to gently flatten it. This keeps the butter intact and helps create those layers that we want. If the dough starts getting too soft and the butter is working into the dough, throw it back into the fridge for 20 minutes to harden it back up. When we made these at King Arthur Flour, we also made a version where we spread pesto on the dough before rolling it up too. Experiment with sweet and savory flavors! In a medium bowl mix together the flour, salt and baking powder. 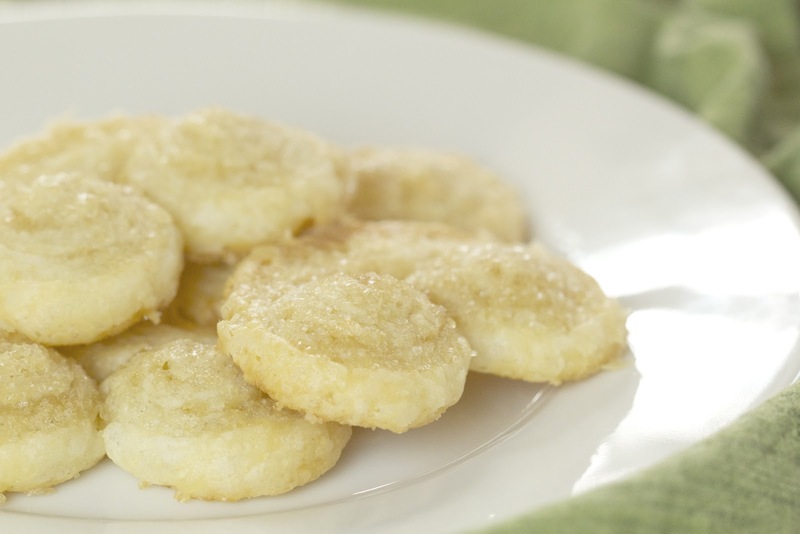 Using the method described above, mix in and press the butter into the flour, making large flat disks. Stir in the heavy cream. Don't worry about the mixture all coming together at this point. It will be pretty loose. Dump the mixture onto a clean work surface and gently press the mixture together until it forms a cohesive ball. Press the dough into a disk, cover with plastic wrap and refrigerate for 30 minutes. 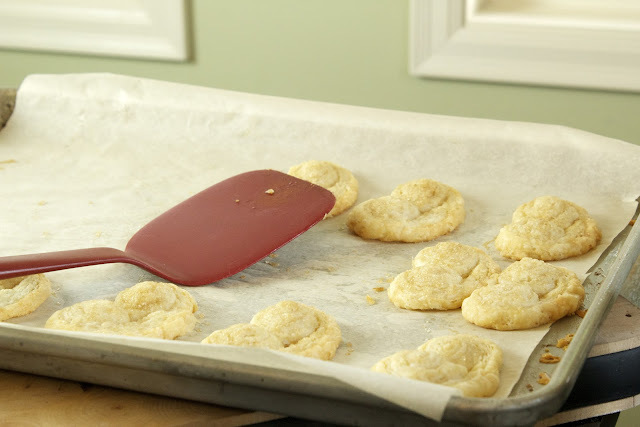 Remove the dough from the refrigerator and unwrap. 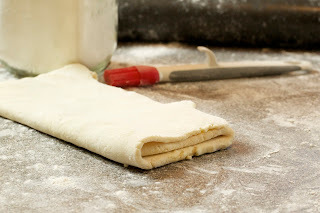 On a lightly floured surface, roll the disk into a 8x10 rectangle, dusting with additional flour to keep it from sticking. 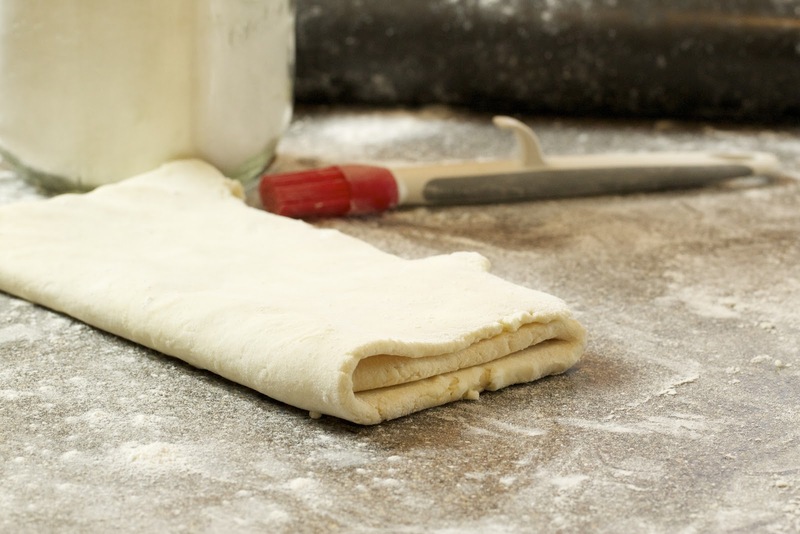 Brush off the excess flour and fold the rectangle into thirds, like you're folding a letter. Flip the dough over, turn it 90 degrees and repeat the rolling and folding one more time. Wrap the dough and chill for 30 minutes longer. Preheat the oven to 400 degrees. Remove the dough from the refrigerator. Divide the dough in half. Roll one half into an 8x12 rectangle, trimming edges as necessary to form an even rectangle. 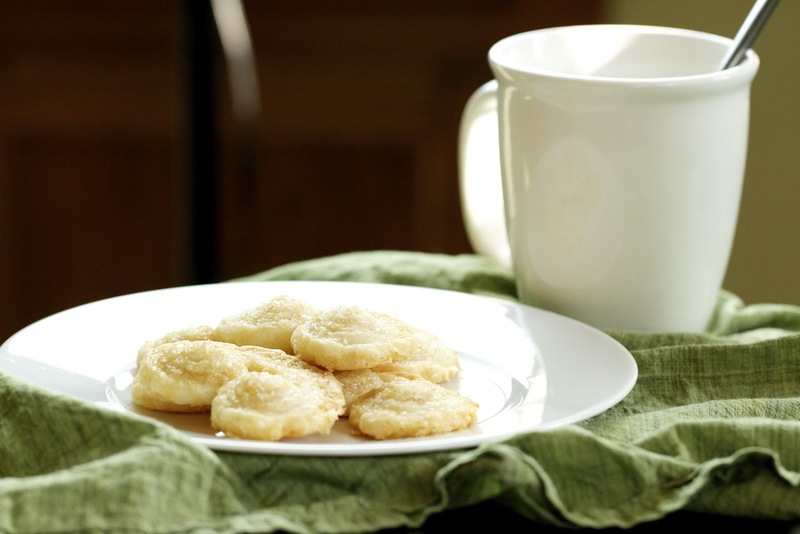 Sprinkle the surface generously with demerara sugar. 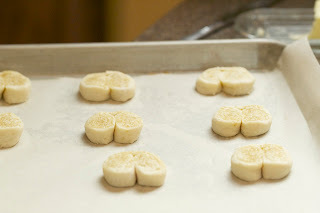 From the outside edges, fold over the dough in 1 inch segments until you reach the center and then repeat coming from the opposite side. Flip the roll over so that the crease is on the bottom. Slice the roll in 1/2 inch segments. Press each roll into additional demerara sugar and then place on a cookie sheet covered with parchment paper. Bake for 10-12 minutes or until golden brown. Cool completely on a wire rack. These look great! I love this pastry recipe... makes my life SO much easier! 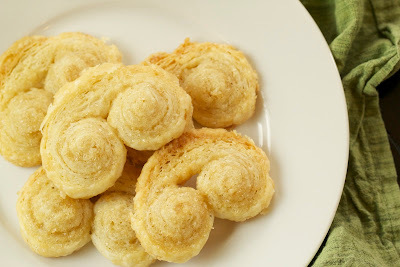 I love palmiers so I will definitely be trying this! Palmiers are my all time favorite sweet. I "might" have shared one of the batch we brought home with my family, but that's it! Yours look like they turned out perfect. When I worked for the New French Bakery, the freshly baked Palmiers were one of my most treasured treats. I could capture every crumb on a napkin, then tip them in to my mouth so as not to miss one ounce of that amazing flavor. I haven't had one in years and miss them. Great post!